The ‘Patient voices… Our Story’ was celebrated at the Healthwatch Network Awards on 3 October. Celebrated every year, the Healthwatch Network Awards highlight the ways in which local Healthwatch organisations across the country have helped make people’s views of health and social care services heard. At the awards ceremony on 3 October, it won ‘Highly Commended’ in its category. 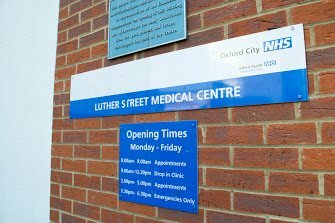 The nomination had been for the video ‘Patient Voices…Our Story’, which Healthwatch Oxfordshire and local filmmaker Nicola Josse made with the Patient Participation Group of Luther Street Surgery, Oxford, and Oxford Health. This GP practice service the city’s homeless population and the film highlighted how the patients themselves were getting involved to shape how services are run. The film was made with a grant from NHS England’s Celebrating Participation in Healthcare scheme. There were more than 150 entries in total, across seven categories. The overall winner from each category was chosen by a panel of judges and announced at Healthwatch England’s annual conference in Stratford upon Avon. At the conference, Rosalind Pearce Chief Executive of Healthwatch Oxfordshire, and Olivia Packe, Chair of Luther St PPG, gave a brief introduction to the film, before it was shown, and then took part in question-and-answer session. Imelda Redmond CBE, National Director of Healthwatch England, said: “The Healthwatch Network Awards are a fantastic opportunity for the whole network to come together and celebrate the difference our teams and volunteers are making right across the country. “All of the entrants this year demonstrated the real impact we can have when people’s experiences are placed at the heart of the services they receive.